Without doubt, good skin starts with proper daily cleansing to remove the skin from oil, grime, dirt and makeup. I was a real fan of glycolic facial cleansers and have been using the Invisible Zinc's 12% glycolic cleanser - RRP $35 for 200ml over the past year. That product was great but it stung my sensitised skin (ie. when it was a bit raw) and it didn't smell too great (there was that distinctive fermented fruit smell). So an equally affordable and milder glycolic cleanser was always on my list of to-hunt-for products but along the way, I got side-tracked with Dermalogica Special Cleansing Gel - RRP $53 for 250ml which is also another amazing cleanser that is very gentle on skin and leaves skin super soft. My only complaint with it is that it lacked the power to slough away the flaky dead skin cells that I was rapidly accumulating due to my use of Retin-A based products. I've been trialling a new glycolic acid cleanser for the past 3 weeks and I think I can safely say it's now my most loved facial cleanser. 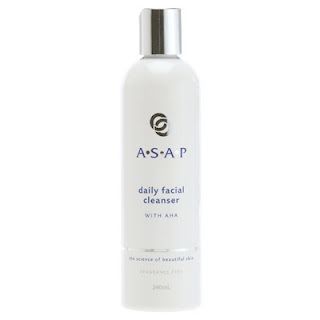 ASAP is a 100% Australian owned company that produces all its products locally, providing cosmeceutical skincare products to consumers since 2000. All their products are formulated based on proven active ingredients and extensive scientific research. This cleanser is oil-free and non-pore clogging. The product is quite fluid and has a mild milky texture with very faint fruit scent. It is very gentle on skin and not once did I feel any stinging sensation when using this. Gentle enough for twice daily use, I only use this at night to do the deep cleaning whilst I try to finish up the Dermalogica special cleanser in mornings when my face is not as oiled and clogged up with makeup. This is non-lathering cleanser acts more like a milk cleanser and gave a powerful clean even with a face full of makeup. I found I needed to double cleanse around the eye area to really get rid of the stubborn eye makeup but as this product is mild, I didn't have any problems with it stinging my eyes. Skin feels renewed, velvet soft and hydrated afterwards, it really is a one-action cleanser and you can skip the use of a toner after this as it leaves skin so well hydrated. The full size product comes in a massive 240ml bottle and is really quite affordable compared to the current cleansers I'm using. The best part about it is that it is very effective and gentle on skin. It makes the perfect cleanser for everyone young or old, those with skin problems such as acne, skin pigmentation or sun damaged skin as glycolic-acid based products will over time help to resurface the skin to reveal clearer, smoother skin - just don't forget to use a high protection sunscreen daily to protect your new skin. If you are looking for an effective glycolic based cleanser that doesn't break your budget, give this a try and you too, will fall in love with it. RRP A$44 for 240ml bottle at ASAP stocklists across Australia and New Zealand. It is also available online at the Facial Company. Jen - It's a great cleanser. Pick it up online for less than the RRP and it is definitely worth it. hi there, thanks for the write up! ive been using the invisible zinc cleanser too and looking to try other aha cleansers because it works so well. 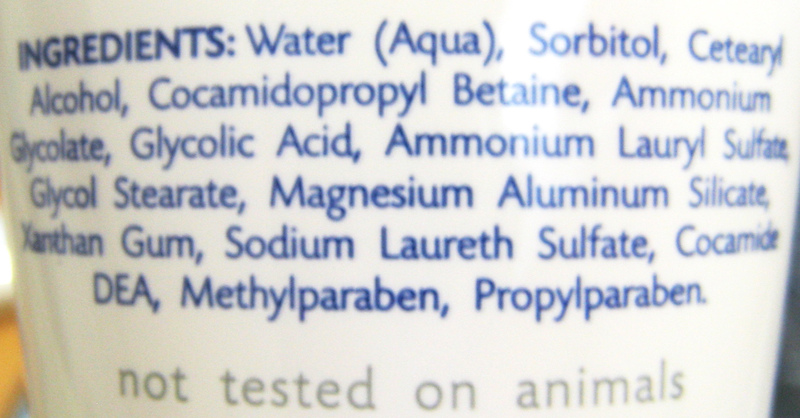 im glad this is working out for you but i notice parabens an sulfates on this one :-( i think IZ is paraben free. I love love love this cleanser but reading the back made me worry... aren't parabens bad for you and potentially cancer causing? Glyco creamy is my next fave (by DermaQuest) but its pricey because its a premium brand. Hi Rebekah, parabens are one of the most widely used preservative in the cosmetic industry. The reason why it's contentious is that it has been demonstrated to mildly mimic the estrogen of our body and therefore may have an impact to our cells with long term exposure to it linked to with cancer cells (the study did not find that paraben caused cancer though, just they were present together). 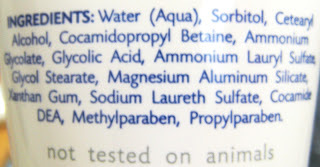 Obviously it is wise to exercise caution if you use many products that contains parabens (they all add up), and I'd be more concern about lotions that stay in contact with skin for long periods of time rather than a face wash that doesn't stay in contact with skin for more than a minute at most.